Coworking spaces are on the rise as companies hire remote workers or eliminate offices, and more individuals choose to freelance over a traditional office job. The spaces provide all the equipment of an office, with the opportunity to come and go as you please. You can set your schedule, enjoy flexibility in your day, but with more structure and less distraction than you’d often have when working from home. When you travel for work, it’s tough to get anything done from a hotel room, bar, coffee shop or restaurant, and coworking spaces offer a place get things done, meet new people and feel inspired. 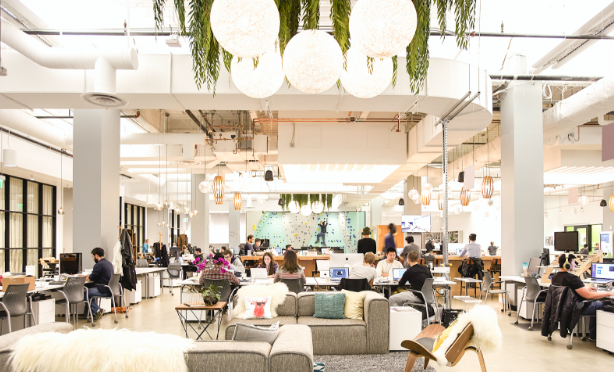 San Francisco has a lot of great options to check out when you’re there, but these are 3 of our favorite coworking spaces. Each has its own unique perks, completely different price points, but they are great options for your next visit. The Bespoke coworking space is the home of about 75 different retail tech startups. Located on Market Street in the heart of Union Square, the space has an ultra-cool vibe with high ceilings, exposed beams and pipes, and a beautiful overall esthetic. Day passes go for about $35.00 USD and include the use of High Speed Wi-Fi, private phone booths, shared kitchen, quiet library, the bocce ball green, and the bouldering wall if you’re so inclined! Birdnest took the idea of working in coffee shops and combined it with the coworking model. 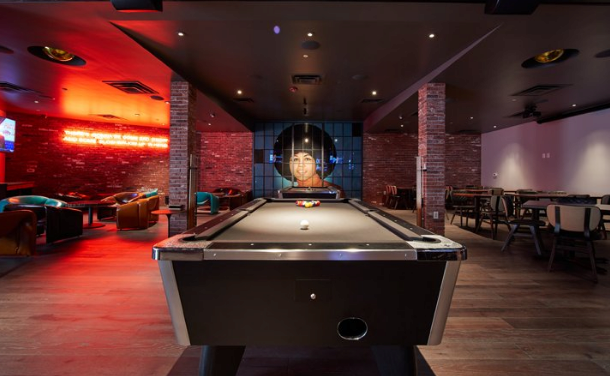 They transform restaurants that are closed during the day into workspaces for individuals and teams. The result is a super affordable space with unlimited coffee and tea, lots of places to sit, and areas for quiet time! For $10 USD, you can get 3 days of use over a 14 day period. That’s pretty unheard of when it comes to coworking spaces! They currently work out of one restaurant, but there are 3 more spaces coming soon! If you only need space for a couple of hours at a time, Covo has a membership option where you pay by the hour. For $4 USD per hour, you’ll have access to a great place to work, printer, phone booth and more. The space is a converted warehouse, with beautiful finishes, high ceilings, tons of light, and is filled with members from all different industries. It is located in SOMA, surrounded by innovative companies like Slack, Zendesk and Indiegogo. Talk about inspiration! Coworking spaces are so effective. They provide community-driven, non-competitive environments for individuals to thrive. They are often bright, open spaces where members can move around to different desks, with common areas where they can enjoy conversations with other members. They offer great amenities, and as you can see from the examples above, each space has its differences. 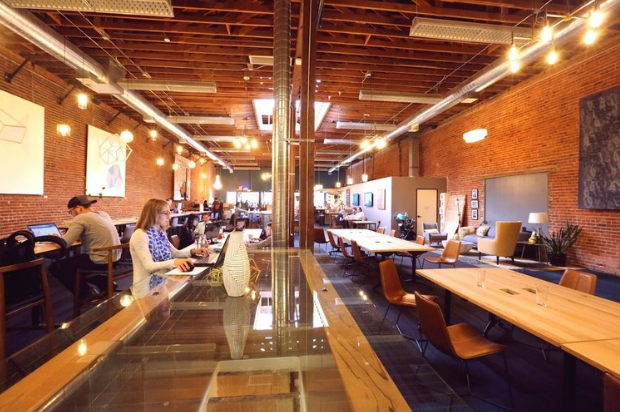 Next time you travel for work, make sure to check out coworking spaces in the area. Even if you aren’t traveling for work, it’s a great way to remain productive in a comfortable, inspirational environment.